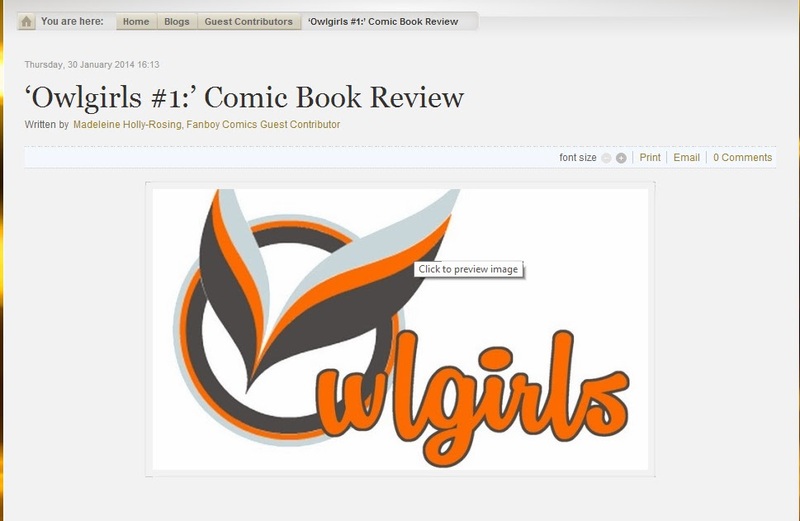 Well, we are extremely pleased to announce that a couple of reviewers have weighed in on Owlgirls, and the response is overwhelmingly positive (three reviews, to of them loved it and we are discounting the third as being from the Russian Judge). First up, is a review from Comics Bulletin where the Reviewer totally got what I as the writer was attempting to do in the comic’s first issue. Then there is one from Fanboy Comics where the reviewer also understood what we were going for witht he book. If you are a reviewer and would like a review copy, please reach out to us and let us know so that we can get you a copy.